The timing of this First Sunday in Advent presents us with stark contrasts between the over-indulgent and somewhat gluttonous behavior of Thanksgiving just a few days ago and the message of penance and repentance of Advent. If you notice, the vestment color is now purple; the sanctuary is devoid of flowers and we purposely omit the Gloria. One would think that it was Lent. Advent is a penitential season, perhaps not as penitential as Lent, but a season where we have time to prepare our hearts and minds for Christmas. Unfortunately, we live in a society that treats this time of year as four weeks of pre-Christimas celebration. With all the decorations up and the Christmas music playing, society hardly gives us time to make spiritual preparation. Consider for a moment the phenomenon of Black Friday. Before dawn, thousands of shoppers lineup for incredible deals at retail outlets. There's nothing wrong with being frugal or shopping per se, but when we get so mesmerized with consumption and how a gift will make for the prefect Christmas, we lose sight of what Advent is really all about. If only we could put as much zeal into our preparation for Christmas as some shoppers put into their quest for gifts! Hence, any material preparation we make should always be outdone by our spiritual preparation. We should make a sincere effort to go into the desert with St. John the Baptist to prepare our hearts and our minds. We miss the whole point of Advent and Christmas when our spiritual preparedness is nothing more than an afterthought. Even shopping mall architecture reveals where our priorities are. Tysons II in McLean, Virginia has more marble in it than all of the Churches in the diocese combined. In years gone by, our churches were not only adorned with marble - they were adorned with gold-leafing. Where's the gold leafing found today? It's not in churches - it's on the facade of stores that sell nothing but underwear! That's the world we live in today. 1. Attend daily Mass at least once outside of Sunday. 2. Pray a family rosary nightly. 3. Holding-off on Christmas decorating until December 24 and then leaving the decorations up all the way through February 2 - the Presentation of the Lord Jesus in the Temple. 4. 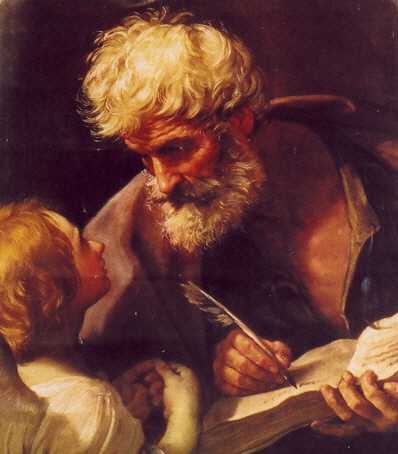 Read the infancy narratives in the Gospels of Matthew and Luke. 5. Make a good Confession. 6. Seek out a long lost friend or relative. 7. Make a charitable contribution in lieu of buying a gift and let them know that a contribution was made on their behalf to that charity. 8. Fast from Christmas parties - attend the ones you need to for office politics reasons, but for those in positions of authority - resolve to plan Christmas parties for the Christmas season, not for Advent. I marvel at how for 40 days of Lent, we get 50 days of Easter and for 30 days of Advent, we get 40 days of Christmas. 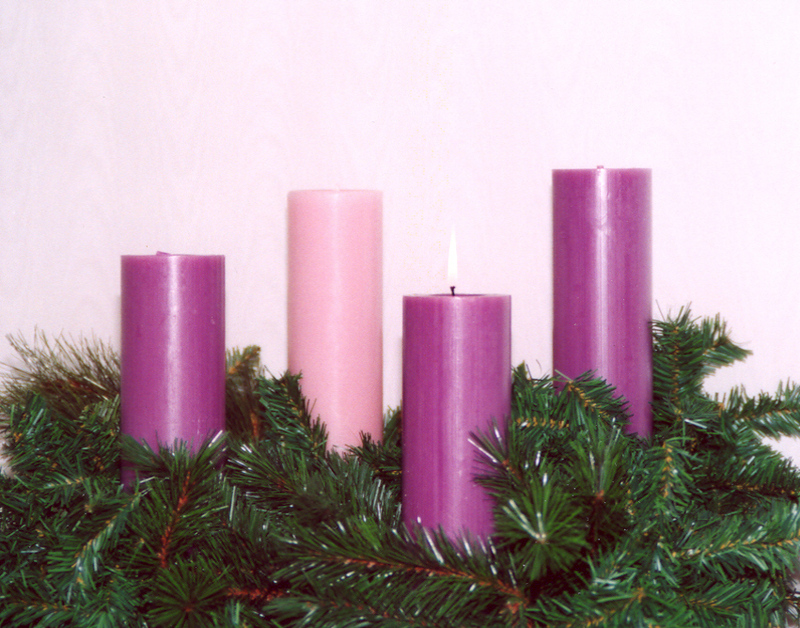 Let's celebrate Christmas for 40 days but prepare ourselves with 30 days of Advent first. Our Gospel today reminds us to be prepared and vigilant for our Lord's first and second coming. The first coming is what we celebrate by way of anniversary every December 25. It is the anniversary of HIS birth. The second coming will usher in OUR birth into eternal life. We ought not to be preoccupied with the signs of the end times but live with confidence that those who are hopeful, faithful and focused on our Lord and His ways will one day join the prophet Isaiah, when he exclaims; Come, let us climb the Lord's mountain, to the house of the God of Jacob, that He may instruct us in His ways, and we may walk in His paths. . . O house of Jacob, come, let us walk in the light of the Lord.